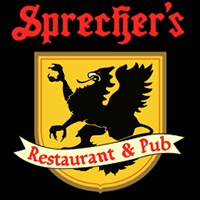 Im a Fan of Sprecher's Restaurant & Pub... Are you? Fill in the below form and you can recommend ‘Sprecher’s Restaurant & Pub’ to a friend or family member via a text message. Show your support with a quick share of ‘Sprecher’s Restaurant & Pub’. Every time I dine at Sprecher’s I end up going with my two favorites the Black Bavarian on tap and the Brew Pub Meatloaf. They give you a generous portion of potatoes and a healthy amount of fresh vegetables with the Meatloaf. Great spot for a quick lunch in Green Way. Not many places that I have eaten at can get a large group of people in and out in a reasonable amount of time during our short lunch hour. They have done a great job on each catering event that we have done fundraisers for on the patio in the summer. Very affordable and fun to work with. The fire places on the patio on summer nights along with the bands, ends up being one of my go to spots for bringing friends and family. Abby Triple is the my favorite beer and just so happens to have the highest abv. I crave the jambalaya all the time, one of the best in the Madison area. They make delicious gourmet soda and beer, and it always seems to have a Wisconsin touch. The Special Amber is was brings me back each and every time. They have a great happy hour and the patio is amazing! The root beer is the reason why I visited, they have amazing gourmet soda. On the plus side it is gluten free, caffeine free and so many different flavors! Awesome wait staff and the grapefruit kiss is my favorite drink on the menu. Staff is always so friendly every time, great prices on drinks and the jambalaya is my favorite! Great beer, happy hour, and don’t forget a huge delicious bloody mary! Great service and delicious pretzels n cheese!! I love the utilization of honey in some of their sodas. I haven’t found a bad one in the whole soda bunch. The cream soda is pure Summertime for me. I love going to Sprecher’s! They have great happy hour specials especially on Sunday when it is all day!!!! Awesome staff and great food. Love the patio during summertime also! Sprecher’s Restaurant & Pub has a scratch kitchen, world-class craft beers and an amazing staff! Their patio in season is absolutely gorgeous! They always have great food and wonderful server. Very family-friendly and always so nice. Sprechers Restaurant and Pub is a great family restaurant. We had a party of 40 hockey players and they did separate checks. The food came out fast and hot. Awesome place! Val was great! Great food, even better beer, and beautiful patio to spend time with family and friends! Best patio in town by far. Awesome drinks and great service. Best patio in town! Good drinks and awsome service! 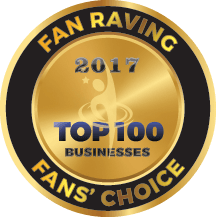 I absolutely love this place, The food and drinks are great, and the service is top-notch, but most of all, it\’s the friendly environment–like you\’ve walked into a big party. The patio is especially nice for relaxing and listening to music. Fantastic service, great food, awesome patio that has live music on the weekends! Sprecher\’s is an amazing venue for all ages. It is a family friendly atmosphere that entertains the adults as well. Bands on the gorgeous patio thurs-sat nights! Trivia mon and wed nights! They also have a delicious gluten free menu! You can tell the employees care for the restaurant and their guests like family. Don\’t miss this gem of Madison! Sprechers is the best, most family friendly and a great example of how great a melting pot can be and work together. Every employee is different and they all get along great and love eachother. Spechers also has a lot of different foods that I have never seen at other restaurants. The management is very young, and run the restaurant excellent for their ages. I love sprechers so much! I am a really big fan because I enjoy there stunning patio. Not to mention their staff is some of the best I have personally experience in the Madison area! Amazing patio and service!! Best happy hour and awesome atmosphere!! One of my favorite spots to relax and enjoy. I am a fan because this place is awesome. From local brews to gourmet sodas to a scratch kitchen with an amazing menu that will suit anyone’s budget or culinary wishes. Sue, Travis and Kirsti have really established a well-kept and a great place to gather for almost any occasion! The patio is generously sized, gorgeous fore pits. The inside restaurant and full bar is beautiful. Definitely a place that the entire family can enjoy. They do not lie when they call it Wisconsin’s Family Brewpub. Kids, big kids and adult friendly! I always stop in at Sprecher’s Restaurant and Pub when visiting Madison. 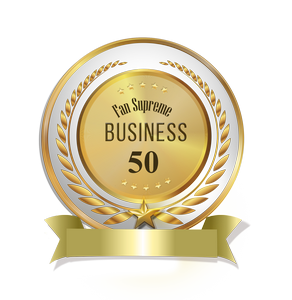 It has an extensive and appealing menu, great drink selection, and super friendly and efficient service. The patio in the summer months is a great place to enjoy a good meal with friends or family! Sprechers is A home away from home. Great food, lovely staff, and great atmosphere! I’m a fan of Sprechers not only because of the great choice of food; yet, the feeling you get once you walk through those doors. Staff and even customers fill the seats with great vibes. Has a great group of staff that goes above and beyond to each person that walks through the doors, or gates if we mention the fantastic patio. Can honestly say I’m a huge fan of this establishment and would recommend it to anyone and everyone! We visited Madison on our vacation last summer and stopped into Sprecher’s for dinner. We had an excellent meal, great service and reasonable prices. I would definitely recommend to anyone for a good dining experience. Great food and atmosphere. Gorgeous patio with live music Thursday thru Sat night. And amazing staff.